This is an essay written some years ago by the late Tom Van Flandern which was included in his book ‘Dark Matter, Missing Planets & New Comets’. Tom, who worked for many years at the U.S. Naval Observatory, was an out of the box thinker who covered a wide range of astronomical topics, many of them well outside the mainstream. His methodology was a bit similar to my old dad’s approach to cryptic crosswords. “The clue doesn’t give you the answer, but it helps confirm you got the right answer once you’ve got it”. Leif Svalgaard says he was a crank, which in my view means he’s well worth a read. I think this article, tied in with his other solar system formation concepts, deserves to be republished for the assessment and re-appraisal of the talkshop cognoscenti and the interested visitors here. Let us examine in detail what the consequences would be of assuming that Mercury originated as a satellite of Venus. If that were so, we might presume that Mercury formed in close orbit about Venus, perhaps by fissiona. But Mercury is four and a half times more massive than the Moon. So the interchange of energy through tidal friction between Venus and Mercury would have been enormous. Mercury’s original spin would have been halted fairly rapidly by Venus, leaving Mercury spinning once per revolution around Venus, always keeping the same face toward Venus, as for our Moon. We can also note that both planets would have been melted by tidal heating in the early stages following escape. Assuming this occurred before Venus differentiated (before the heavy elements sank to its core), this might explain both the high density and the magnetic field of Mercury, and the absence of an appreciable magnetic field for Venusb. Thus we have reason to believe that all three present-day planets with unusually high densities (Mercury, Venus and Earth) probably melted at one time from tidal heating. This melting is then the most probable cause of their high densities. While Mercury is still a satellite of Venus, its shape will tend to become somewhat prolate (elongated toward Venus). Although that condition will relax somewhat after escape, the planet should still retain a slightly prolate shape. This turns out to be an important factor in understanding Mercury’s present-day odd spin state (3-to-2), as we shall see. Calculations by Harrington show that escape would necessarily occur on the sunward side of Venus, and that the new orbit around the Sun which Mercury would then occupy is both stable and non intersecting with the orbit of Venus (important to avoid collisions or ejection from the solar system). The subsequent evolution of the orbit of Mercury takes it to higher orbital tilts and eccentricity (ellipticity)-indeed at times to the same values for those parameters which Mercury’s orbit has today, even though those values are higher than for any “true” planet. Let us consider what forces might have been operative in the early solar system which could evolve Mercury’s orbit inward to its present distance from the Sun. One candidate is tides raised by Mercury on the Sun. Such tides are negligible today, for purposes of orbital evolution. However, these tides should be orders of magnitude larger than is usually assumed, as described in the chapter “sunspots and Planets”. And in the early solar system, the Sun is presumed to have been physically much larger in diameter than now, according to stellar evolution theory (its T Tauri contraction phase). There is no question that a Sun with ten times its present diameter would have produced major tidal evolution which could have separated the orbits of Mercury and Venus (assuming they already existed, and that Mercury had already escaped from Venus). Smaller solar sizes may well have accomplished the same feat, depending upon the rotation speed and extent of differential rotation of the early Sun. Other forces which might have been operative, such as collisions or drag from leftover planetary formation material, would also operate in the direction of separating the orbits, taking Mercury closer to the Sun than Venus. It is often forgotten that some forces were likely operating to evolve the mean distances of the planets from the Sun; for if there were not, we would find leftover formation matter today in the vast number of stable orbits between the planets. In short, if the planets did not all evolve significantly in their mean distances from the Sun (changing their distances by at least a factor of two), the left-over solar system formation material would cause the solar system to more nearly resemble Saturn’s rings than discrete planets with empty space between. Even in the conventional model of solar system formation from the primeval solar nebula, the planets would have collided with masses totaling 100% of their own mass in the aggregate while they were undergoing their last doubling in mass during accretion. These aggregate collisions must have had a major effect on the mean distances of each of the planets from the Sun, which could therefore not have started at their present values even in the standard model. We conclude that the orbit of Mercury would evolve into one with unusual eccentricity and inclination to the plane of the other planets, typical of what we see today; and that its mean distance from the Sun could have evolved to today’s values also. Venus would have lost most of its spin in the process, and its remaining slow spin could have become retrograde because of thermally-sustained high atmospheric winds being forced retrograde by tides from Mercury just prior to the satellite’s escape. Further calculations by Harrington showed that Mercury would have had a revolution period (and therefore also spin period, since spin is locked to Venus up to escape) of somewhat over 40 days at the point of escape, which spin period it would then retain for a time in its new orbit around the Sun. Tides raised by the Sun on Mercury would gradually slow its spin. Under ordinary circumstances, this slowing would continue until it reached 88 days, Mercury’s orbital period, at which time the planet would always keep the same face toward the Sun. Instead Mercury slowed only until it reached its present 59-day, 3-spins-to-2-revolutions state. Why did its spin stabilize in that condition? Because (and I consider this the strongest argument for the correctness of the theory that Mercury was a satellite of Venus) following an escape with a 40-some-days period of spin, the next stable spin configuration for a Mercury-like body with a slightly prolate shape is the 3-to-2 spin condition. Mercury has the required prolateness (and no other planet does) to a necessary and sufficient degree. And this prolateness, which enables Mercury to lock into such an unusual spin configuration, is itself a predicted consequence of having been a satellite of a larger planet. In summary, something gave Venus a slow backwards spin, caused it to outgas a dense atmosphere and form high mountains, and to have no natural satellites today. Something caused Mercury’s satellite-like size and appearance, giving it a prolate shape, high density, and magnetic field, and put it into a 3-to-2 spin state. Up to now, astronomers have invented separate and ad hoc explanations for each of these anomalies. But we can instead invoke a single hypothesis, from which all these anomalies are natural, deductive consequences: that Mercury is an escaped satellite of Venus! a If Mercury fissioned from Venus due to overspin, as is suspected to be the case for the Earth’s Moon, then we would expect hemispheric asymmetry on Venus, with analogs to the Earth’s “Pacific basin” and “Atlantic ridges.” Since there are no oceans because of the heat, these might take the form of missing crust, replaced with mantle material, in one hemisphere, and perhaps a major rift or split in the other hemisphere. Or in view of Mercury’s greater mass, perhaps the entire original crust of the planet was stripped away in the fission. b If Mercury is an escaped satellite of Venus, perhaps most of the original iron in Venus (which ultimately produces the magnetic field) was forced up into the crust by an excessively high spin rate. 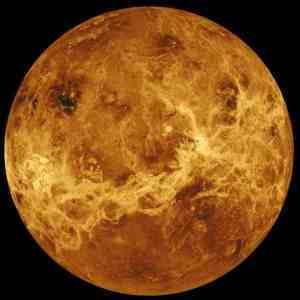 Venus may have then fissioned from overspin to form Mercury, with Mercury getting most of the iron. Subsequently both bodies would have melted each other from tidal friction, which would cause the heavy elements (such as iron) to sink to the core. Such a scenario could explain why Mercury’s magnetic field is stronger than that of Venus, since Mercury would get most of the iron during the original fissioning. As for the Earth and its Moon, a similar scenario might apply, except that the Earth’s iron was not forced to the surface, perhaps because the Earth was not as hot and molten as Venus during that phase of its formation. Whether the iron and heavy elements rise or sink depends on the rate of spin and degree of melting of the planet. For the Earth, if these elements sank to the core before the Moon fissioned, the Moon would end up without its share of heavy elements. The sinking process increases the Spin of the Earth, and raises the likelihood of a fission to form the Moon. Interestingly, for Venus, when the heavy elements rise to the surface, its spin slows. Yet a configuration with a heavy crust and light core becomes more likely to fission at lower spin speeds because it is unstable. If it does fission, the planet that remains behind will have lost a considerable portion of its angular momentum right at the outset. c We might also note that Venus and the Earth have the only two surfaces in the solar system with linear mountain ranges. In this model, these were presumably built during the crust fracturing process which led to the formation of a large Moon initially in orbit around each of these two planets, and no others. d It is interesting to follow closely what would happen to the spin of Venus as Mercury approaches tidal escape. For Venus or any planet that rotates faster than the mean speed of its atmospheric winds, mountains and other surface irregularities impart enough momentum to the atmosphere to ensure that it moves in the same general direction as the planet spins. But when the planet’s rotation slows to below the mean wind speed, as Mercury would cause Venus to do, then the situation reverses. Mean wind speed can push on mountain ranges and other surface inegularities, and ultimately determine which direction the planet will rotate. As Mercury tidally evolves outward, it must necessarily produce rotational drag on Venus, tending to slow the rotation of Venus. But it must raise even bigger tides on Venus’ atmosphere, causing the whole atmosphere to circulate in the retrograde direction. After billions of years, this may produce retrograde spin of the entire planet. Today, the largest net torques on Venus’ atmosphere are due to the Earth, since its tidal forces are stronger than either Mercury’s or Jupiter’s. The Sun produces stronger tidal forces than any planet, but with no net torque. So the Earth will ensure that the atmosphere of Venus continues to receive slight retrograde impulses at every inferior conjunction of the two planets. This may explain why the spin of Venus today lies close to a resonance with Earth, despite the seemingly negligible strength of the interaction between the two planets. We’ve all known that there are 9 planets since we were toddlers. Then along come these “scientists” and tell us that Pluto dones’t really count, so now we all know there are really only 8 planets. Then along comes another “scientist” to tell us that Mercury is really only an escaped moon. So there are only 7 planets. But the moon did not arise from the Earth by fission. The Pacific basin is a relatively young product of plate tectonics. Also the isotopic ratios of the Earth and the Moon do not tally with the fission theory, rather the “giant impactor” theory. I can’t comment about the Venus/Mercury theory outlined above. You beat me to it.The idea that the Pacific ocean was created when the moon was formed was shown to be tosh about the time that evidence of plate tectonics grew to be pretty well incontrovertible. Very interesting read. Just because one is a ‘crank’ does not make everything that said ‘crank’ wrong or right, per se. The reasoning is sound, within its limits and assumptions. Whether this actually happened is something we will never know, nor does it put a collision totally out of bounds in the case of Mercury – Venus being similar; but not equivalent to the case of Earth – Luna. I have wondered why and how the nebular material was so cleanly swept up into planets, in a disk aligned system. In actuality, scientists are not at all baffled by the slowing of the rotation of Venus. They understand that eventually, in the far future, the sidereal rotation period of Venus will stabilize at the sidereal Earth year and be fully resonant. As for whether or not the late Tom Van Flandern, who happened to be a colleague and good friend of mine, was a scientist or a “scientist,” be aware that he obtained a Phd degree in astronomy (specifically Celestial Mechanics) from Yale University at an early age. Gerry, I was wondering if you knew each other. Roger, wow! you get some real intellectual commentators on your blog. I appreciate Gerry’s comment. This deserves to be Scientific and Technical blog of the year. Ron Dealer & “Bloke down the pub” have you thought about timing through initial formation of our solar system. No one really knows what happened. One can only make some assumptions, then make a model. The some or all the assumptions can be wrong, the model can be wrong or both. I suggest that plate tectonics on earth was a later development as the surface cooled and volcanic activity reduced. You and Gerry have aroused my curiosity and I will see if I can get to read Tom Van Flandem’s book. Cementafriend- indeed no-one does know with certainty what happened. The “giant impactor” hypothesis of the Moon’s formation is precisely that- a hypothesis. It does a good job of explaining alot of the observations, but not all. For example the Moon appears to have too much water to have passed through an extensive melt phase, as would have happened in such an impact. The latest theory of what started plate tectonics is fracturing of the early Earth’s crust during the late heavy bombardment around 4 billion years ago. i.e. after the hypothesised impact some 4.5 billion years ago. With a differentiated interior, convection from the very hot core could keep these fractures mobile. It begs the question of why plate tectonics are not found on Venus- which would also have been subject to the LHB and have a differentiated interior. Maybe the tidal stresses produced by the Moon have a role in this? — why does the Earth spin at the same rate as Mars (1 day : 1.03 days)? — is Ceres (high iron content, very low orbital inclination – like Mercury) the result of a Mars collision? Venus doesn’t have a planetary magnetic field. If mercury did indeed originate from a Venusian orbit, it would fit in with my theory that the suns strong magnetic field caused Uranus to rotate on its side 90 degrees away from its orbital motion and backward rotation of Venus, the planets would have started out and evolved with normal orbits and gradually over billions of years the suns large magnetic field, being attracted to Venus will have caused the slow-down in it’s sidereal period, any moon Venus had will have gradually moved into a higher orbit moving away from Venus and as the planet began to reach a retrograde motion of it’s rotation, it is possible (if Mercury was it’s moon) that it would have taken up an orbit around the sun. Oldbrew- “Venus doesn’t have a planetary magnetic field” True. However the density of Venus is very similar that of Earth- suggesting a hot metallic core. Why should Venus have engaged in a paroxysm of volcanic activity, relatively recently, shutting down plate tectonics? My view is that things “froze-up” because of a lack of water, which on Earth, reduces magma melt temperatures. Now the question is timing- how long did it take for Venus to lose its water? The magnetic field on Venus is extremely weak, it may have become stratified due to prolonged exposure to the suns magnetic field, this would have had a degaussing effect on Venus, effectively scattering the heavier elements at its core, if this is true, then Venus should regain it’s magnetic field again over time as the heavier elements in its core begin to align again causing a strong magnetic flow, it maybe possible to workout when it lost its magnetic field if we take measurements as it gets stronger, but, this should happen over hundreds of thousands possibly millions of years. Sparks, general thinking is that Venus’s magnetic field is weak because of its slow rotation. Not much in the way of the “self-exciting dynamo” going on. In fact Venus is still slowing- and rapidly 6.5 minutes in 16 years. Comapre this with the Earth- Tidal effects caused by the Moon are slowing the Earth’s rotation by 2 milliseconds/century. I’m aware of that, I suggested at the mechanism for this Retrograde and possible prograde motion above. The tidal effects of our moon slowing down the earth, I think, is linked to the moon moving away from earth, this is the question; Will the moon continue to move further from earth until it begins orbiting the sun independently, or will the moon move further away from the earth and continue to slow its rotation, then reach an optimal high orbit, and begin moving closer to earth and begin to increase earths rotation again? I prefer the latter. This is another interesting read, written in 2000. Abstract. The hypothesis of the explosion of a number of planets and moons of our solar system during its 4.6-billion-year history is in excellent accord with all known observational constraints, even without adjustable parameters. Many of its boldest predictions have been fulfilled. In most instances, these predictions were judged highly unlikely by the several standard models the eph would replace. And in several cases, the entire model was at risk to be falsified if the prediction failed. The successful predictions include: (1) satellites of asteroids; (2) satellites of comets; (3) salt water in meteorites; (4) “roll marks” leading to boulders on asteroids; (5) the time and peak rate of the 1999 Leonid meteor storm; (6) explosion signatures for asteroids; (7) strongly spiked energy parameter for new comets; (8) distribution of black material on slowly rotating airless bodies; (9) splitting velocities of comets; (10) Mars is a former moon of an exploded planet. Thanks Gerry- good read, have copied the article into my files and noted the reference. 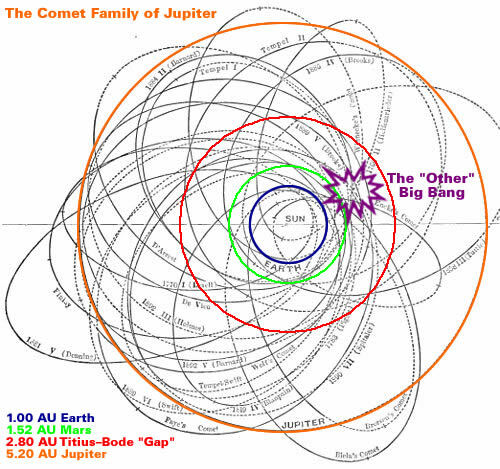 The Jupiter-family cometary trajectories are very supportive of this hypothesis. 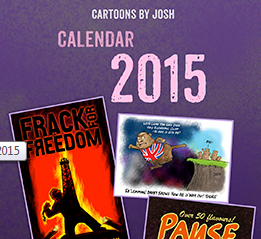 Terrific post Tim, would it be ok to repost it here at the talkshop?